lipstick, but its still a builder protection agency run by the builders for the builders." The agency has been criticized by every news media in the state. and not necessarily to regulate an industry." Consumer groups are praising the Sunset Advisory Commission for its candid assessment and recommendation to abolish the controversial builder protection agency known as the Texas Residential Construction Commission (TRCC). TRCC was run exclusively by the homebuilding industry to regulate homeowners. It is by far the most criticized state agencies ever created. Texas Comptroller: "This agency imposes costly and bureaucratic roadblocks for homeowners left out in the cold by shabby construction and a commission dominated by builders," Strayhorn said... "It is clear that the Texas Residential Construction Commission functions as a builder protection agency." ..."if it were up to me personally, I would blast this Texas Residential Construction Commission builder-protection agency off the bureaucratic books." 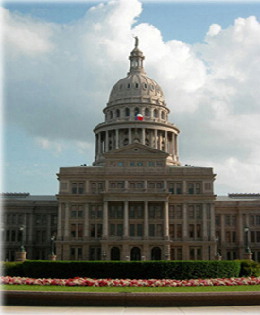 See the results of a homeowner survey conducted by the Texas Comptrollers office, January 23, 2006.